I grow two varieties of perennial Helichrysum Petiolare, which I commonly know as Curry plant. It's treated as half-hardy in my garden, so usually lives in pots and containers - placed out in the garden in late spring, and collected, pruned and popped into the glass-house for winter. 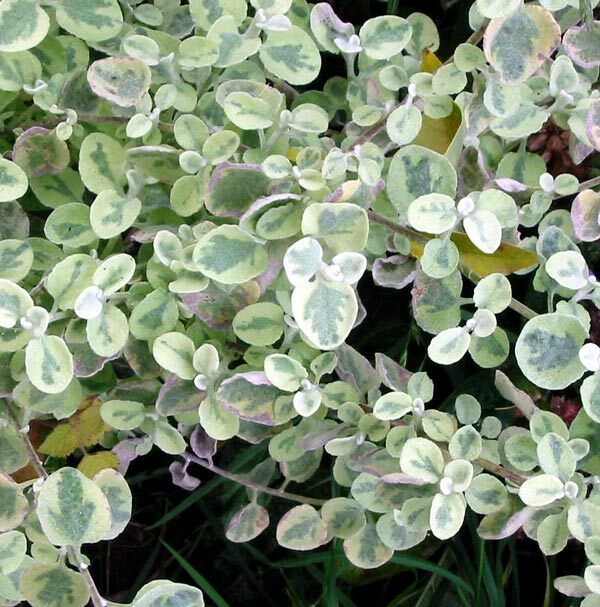 One type has lime green felted leaves, while the other is a clearer green with small cream variegations. 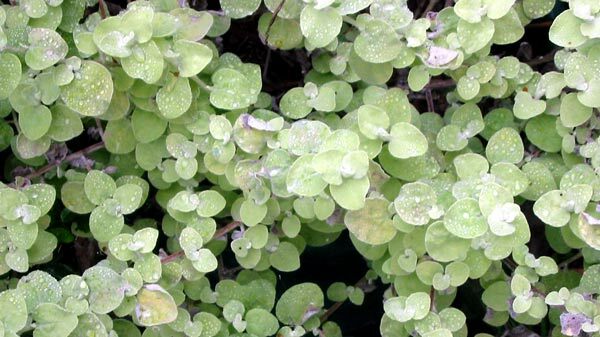 Both plants have very subtle foliage which blend well with other plants. My favourite Helichrysum is the lime coloured one, and my favourite container for it is a bright blue plastic bucket - cost 99 cents, drainage holes drilled by Stephen. I've used this planting idea for years now. I also grow new plants semi-successfully from cuttings. None of my Helichrysums seem to flower for me though - I blame my erratic pot maintenance. Helichrysums do need watering!